The views and features in the penthouses at 2Hopkins apartments in downtown Baltimore can’t be beat. 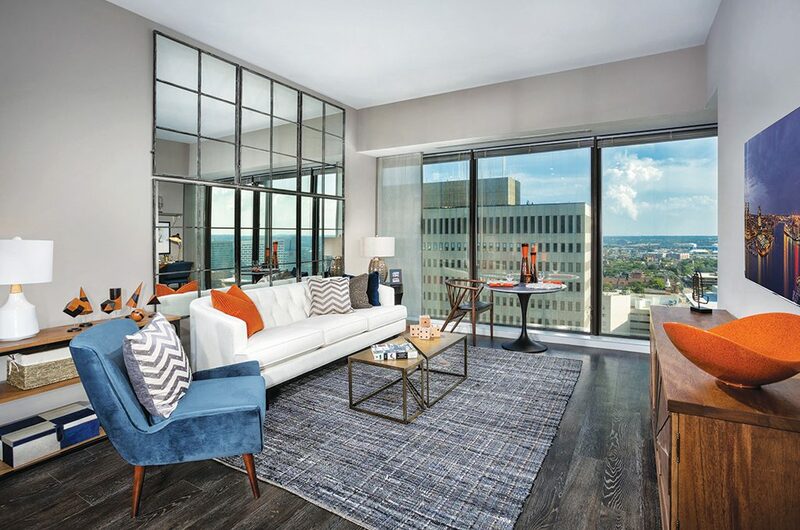 The penthouses at 2Hopkins’ apartments in Downtown Baltimore soar above the city, giving residents unparalleled views in a beautiful living space. Imagine cooking dinner while watching the sunset over the Baltimore Harbor, all from the comfort of your home. The 2Hopkins penthouse apartments make this a reality. With floor-to-ceiling windows and an open floor plan, our penthouses give you unprecedented space. And the high ceilings and eight-foot high doors will ensure you never feel trapped inside again. 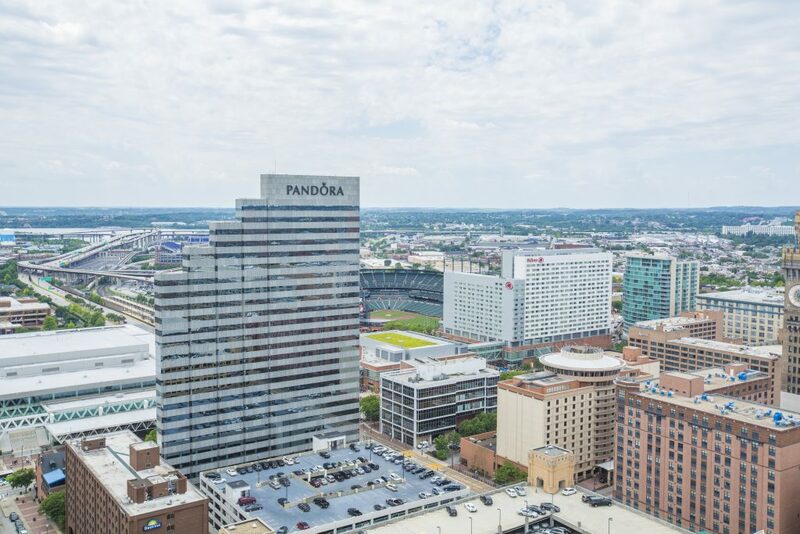 The penthouses are located on the 19th, 20th and 21st floors, towering above the city to give you the best views of the Baltimore Harbor and skyline throughout your apartment. Grab your remote and open your automatic blinds. 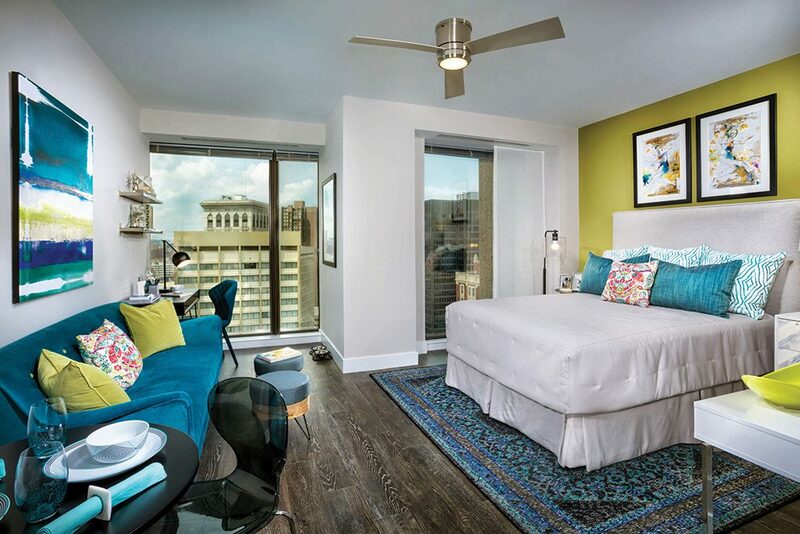 Take in all the beauty surrounding the heart of Downtown Baltimore from the comfort of your home. Penthouses are available as studios, one -and two-bedroom apartments – making them the perfect choice for everyone. Penthouse bedrooms have adjustable shelving in all of the closets, letting you personalize your walk-in closet. Another perk of the penthouse bedrooms are they have black out blinds! (Who doesn’t want to sleep all day?!) Imagine this: it’s Monday morning and you want to lay in your cozy bed as long as possible. Instead of getting up to check the weather from your window, simply push a button on the remote of your automatic blinds! 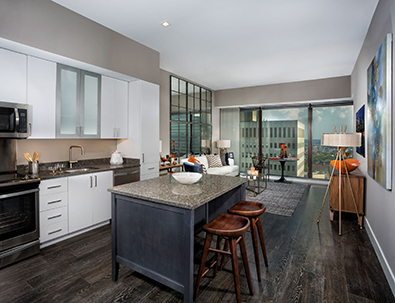 The designer kitchens at 2Hopkins will make cooking any meal a pleasurable experience. Preparing your ingredients on your quartz countertops and cooking with your stainless steel appliances make dinner a breeze. All of this is possible when you live in a penthouse at 2Hopkins apartments in Downtown Baltimore. With these views and stylish living, you’ll never want to leave. So, the next time you’re admiring the beauty of Baltimore head over to 2Hopkins to explore your next home.